Anna began her career as a nurse, training at Our Lady’s Children’s Hospital, Crumlin, and The Meath Hospital, Dublin. Moving to clinical research in 1987, Anna spent almost 15 years in that sector. During this time she worked in the USA, mainly for the Irish company, ICON Clinical Research. Anna was pivotal in the development of ICON’s US business, rising to the position of Vice-President, with responsibility for Clinical Operations in all of its five US locations. Additionally, during this time, Anna obtained a Masters degree in Quality Assurance, from Temple University, Philadelphia. Returning to Ireland in 2001, Anna refocused her energies on care of older people. With a business partner, Anna opened Beneavin Lodge Nursing Home in 2004 and subsequently Beneavin House, both in Dublin 11. In 2012 Anna resigned from this venture and returned to full-time education. She has completed a BSc in Health and Society at DCU. Age Action Ireland's current Board of Directors are listed below. Pat is the Head of Wealth Management with Barclays Ireland. Pat joined Barclays as a graduate trainee in 1993 and has worked in various roles across Corporate, Investment and Private Banking both in Dublin and London. Pat is a member of the Executive Committee of Barclays Bank Ireland PLC. Pat holds a BA from University College Cork and a Masters in Economics and Finance from Maynooth University, where he lectured Economics prior to joining Barclays. Pat is a Licentiate of the Institute of Bankers in Ireland, a Certified Bank Director and a Qualified Financial Advisor. Pat is married and has four young children. Colm is non-executive Chairman of a number of owner-managed businesses and also provides strategic advice and guidance to growth-oriented SMEs. He is a Fellow of the Institute of Chartered Accountants in Ireland. Lisa McKenna has worked in law for 10 years. Lisa is a Practising Solicitor in Ireland, a qualified Solicitor in the UK and Wales and an Accredited Mediator in Civil & Commercial Law. Lisa is the Principal Solicitor of McKenna & Co Solicitors located in Fitzwilliam Square, Dublin 2. Prior to opening her own practice, Lisa worked for law firms, the banks, and the court service. Lisa holds a BA (Hons) in Law and Taxation. Lisa has a passion for her work and assisting others, she is extremely people focused having spent many years working in law for both Private, Corporate Clients and Financial Institutions in the area of Property, Probate, and Wills. Lisa has expertise in property-based lending transactions and has provided advises to leading commercial lending institutions, developers and private client on the realization of assets and deals with Probate, Wills and Power of Attorneys on a regular basis. Anne holds a degree in Education B.Ed., Law LL.B. and a masters, LLM. in Human Rights Law. Throughout her life Anne has been a passionate advocate for human rights both in the developing world and at home. Prior to retiring Anne worked with the Department of Education and Skills in the delivery of an education service to marginalised Traveller learners in Galway and South Mayo. In 2012 Anne became engaged with the issues of ageing when she became a member of the Older Persons` Forum Executive Committee in the Galway Age Friendly Programme. She has been involved in advocacy work with Age Action since February 2014 and is the local coordinator of the Galway Glor group . 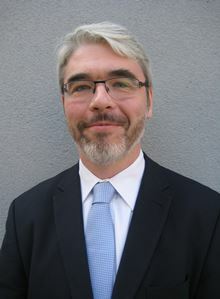 Robin Webster is an Adjunct Lecturer at the Irish Centre for Social Gerontology, National University Ireland Galway. Previously he was one of the founders of Age Action and its first Chief Executive from 1992 to 2015. He was elected as a Director in 2016 and has served continuously as Company Secretary from 1993 to 2017. His earlier positions included Director of Age Concern Scotland, membership of the Pensions Board, National Development Officer, Society of St Vincent de Paul in Ireland, Lecturer in Community and Social Work, Trinity College, Dublin, Lecturer in Ageing and Society, Open University in Ireland, HM Inspector of Schools (Further Education), Scottish Education Department, Director of AONTAS, (National Association of Adult Education in Ireland), Principal, Westminster Institute, London and Director, Forum Poverty Programme, Connemara. His experience and qualifications include a MSc (Gerontology), Kings College, London, BA (Social Science), Diploma in Social Work, Diploma and Certificate in Education (London University). Through his professional and voluntary work, he has had extensive experience in different settings of working with older people and developing ageing policies as well as adult education, community development, social planning and social work. Owner/Managing Director Home Instead Senior Care, Leopardstown. He is passionate about caring for older people while assisting them to remain independent in their own homes successfully by sharing our knowledge and through experienced caregivers. He also serves as a director of Stillorgan Home Support Ltd, a not for profit organisation, providing home help services in the community. David has served as an executive director with a series of Multinationals including Pritchard plc. – Global Facilities services provider, P&O Shipping, Granada and as country manager for ISS – Global Facilities Services provider. He also served as industry representative on joint labour committee. He studied at St Mary’s College, College of Commerce, Rathmines, Marketing Institute of Ireland, Irish Management Institute of Ireland and attended “Service breakthrough’s programme”, Harvard Business School and Management Development courses at IMD - international leading business school, Switzerland. He is married and has two daughters. Sean is married with four adult children. During 1978 and 1979 he studied at the Alliance Francaise and obtained two qualifications "Le Diplome de la Langue Francaise” and "Le Diplome Superieur de la langue Francaise", which enabled him to teach French at second level. In 1983 he obtained a BA (Hons) in European History, Politics and History of Art and in 1984 he received his MA in French History and Language. In 1982 the Modern History Department of U.C.D awarded him the best history essay of 1982 and Literary and Historical Society awarded him best essay on James Joyce. He continues to lecture part-time to mature adults on European Literature, European History and Media in Saor-Oscoil Na hEireann-a third-level institute in Prussia Street. He is involved with Saor-Oscoil on their summer programmes and seminars. He has written and published six essays and books on Irish and European history. Michelle has extensive experience in financial services where she has worked for almost 28 years. Michelle is a Registered Stockbroker, a Qualified Financial Advisor and holds the relevant qualifications associated with financial investment and advisory roles. Michelle is a member of the senior management team with Goodbody and currently heads up Goodbody Advisory Services, with responsibility for the Credit Union Team. Prior to joining Goodbody, Michelle was a Partner with BDO Accountants and set up and managed BDO Private Wealth Management Ltd, from 2007 until 2014, when she transferred the business to Goodbody. Michelle previously worked for Davy Stockbrokers for over 18 years where she was a Director in the Private Client division. 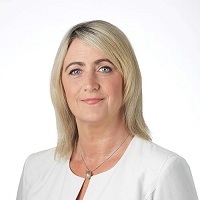 Michelle has extensive private client experience and provides advisory and corporate governance services to many credit unions throughout Ireland. Michelle also provides treasury management advice to private clients, charitable organisations, friendly societies and pension trusts. Justin is Head of Public Affairs with the Irish Wind Energy Association. He has nearly 20 years experience in communications and public affairs roles with Sinn Féin, Amnesty International and EirGrid, the national transmission system operator. He also spent three years working with Age Action as the Head of Advocacy and Communications, where he led the organisation’s campaigns for a fair State Pension, a right to homecare and to end elder abuse. He has a degree in Journalism and a Masters Degree in International Relations from Dublin City University.